The AM-50 is an on-screen audio level meter which provides a visual indication of audio signal amplitude. 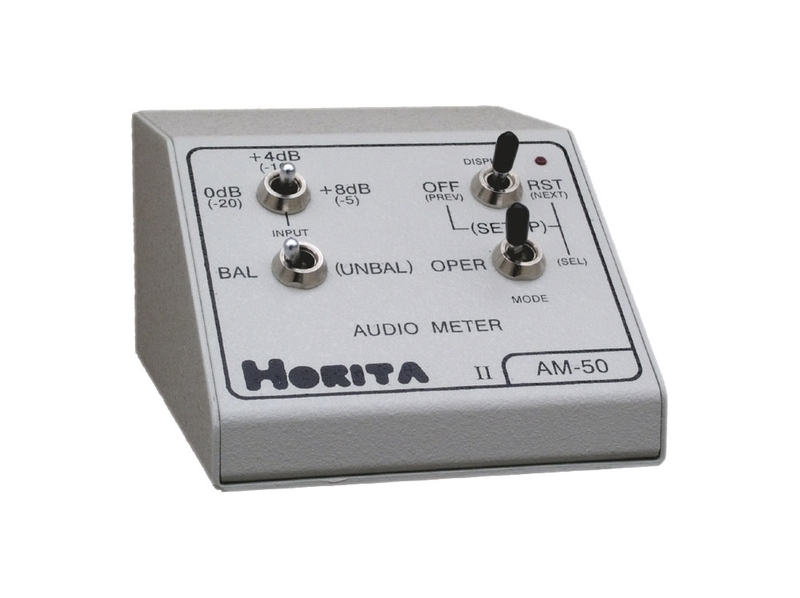 Dual channel "bridging" type audio inputs accept balanced or unbalanced (single ended) stereo audio inputs. Balanced input range is selectable from 0dBu, +4dBu, or +8dBu, single ended input range from -20dBV, -10dBV, or -5dBV. Various formats are provided for displaying the audio levels, including those designed to take up a minimum amount of on-screen video space, those with a "see thru" mode, black mask on/off, audio level markers on/off, etc. Display format, size, and position selections are saved in non-volatile memory. 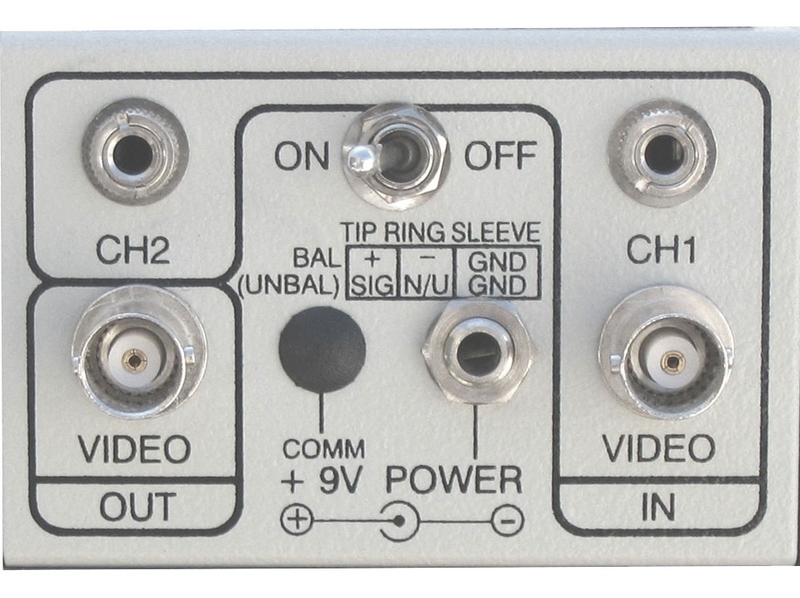 Channels can be individually identified as 0-9 A-F or as a group from 00-to-99 or 0-9 A-Z. Familiar "VU" meter response ballistics. Normal, peak, alarm, and phase check modes are provided. Alarm mode leaves flashing "peak" reading until display is manually reset. Phase check mode displays "In" or "Out" phase condition.